Ethylene propylene diene monomer (EPDM) roofs have been around for over fifty years. It is very similar to rubber. It’s tough, durable, waterproof, and easy to repair if the membrane is punctured. The colors vary, but it’s often black or white. Seams are sealed by adhesives and RPF strips. EPDM membranes commonly are black or white. without adding excessive weight to the roof deck. winters or the desert heat. Repairs are done simply and inexpensively. Most homeowners are able to do the repairs themselves. Rubber roofs must be installed by a professional who has experience working with rubber and flat roofs, which can be difficult to find and quite costly. Since rubber has only been used for the past 40 years, not many roofers have the experience required to do the job right. The ones who do have the know-how are able to charge more than traditional roofers since they have a monopoly on it. Piping, residing HVAC units, chimneys, and stack lines all pose an additional threat to the integrity of your rubber roof. These are the areas where you are most likely to see leaks later on and will have to be resealed. Rubber is not delicate, but it is not indestructible either. It can be easily damaged by a falling branch, satellite dish, or foot traffic. Although it is easy to repair, sometimes it can be difficult to find the exact location of the leak, as well as all of them if they are minimal. 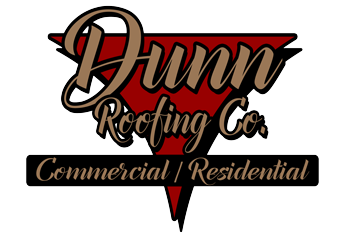 Many roofers claim to have experience installing rubber when in fact they have only done it a few times or have merely sat in on a training program, as there is no special certification needed and they have access to the materials through their regular roofing supply store. An improperly installed rubber roof can leak right from day one. EPDM roof membranes can also be installed fully adhered, mechanically attached or ballasted. Most EPDM membranes do not receive surfacing. Our manufactures, Firestone, and Versico offer total system warranties ranging from 5 to 30 years depending on system type, material thickness, Factory Mutual (FM), and Underwriters Laboratories (UL) ratings.